And why? Actually for good reason. We often blame our kids for our outbursts and convince ourselves that it’s because they don’t listen, are disrespectful, sassy, or misbehave. It’s important to understand that these are just our triggers—actions, behavior or events that push our buttons and often make us react without thinking. Added to that, we parents have strong feelings when it comes to parenting; they can run the gamut from fear, to sadness, to helplessness, and more. Parenting is a very personal experience and our feelings can easily get in our way of logic and wise reasoning. After all, we’re only human! Understand that all feelings are natural, normal and acceptable—but all behaviors are not. Our challenge is to accept our feelings, but take control of our behavior when our strong feelings are triggered. And what triggers our feelings so strongly? We are all vulnerable to different emotions that can set off an alarm bell inside of us. Some of us become easily angered and others deeply fearful. So many hurts and disappointments and struggles happen as we raise our kids, and each of these emotional experiences forces us to confront our true selves, our “unfinished business,” and our fears. Parenting can expose us to our own deep, dark self—the pretty and not so pretty— some of which we were probably hoping to keep out of sight! These moments of awareness are painful and can get in the way of our desire and commitment to be calm and speak kindly and reasonably to our kids. Of course, our explosion leaves us feeling more guilty and hopeless as parents—and the cycle continues. When the sun is shining and all is going well we feel that we have this calm parenting thing under control. But when stress hits, buttons get pushed and heat starts rising all logic and reason and book smarts goes out the window and alarms start blaring. Let’s imagine our brains with two offices – one upstairs and one downstairs. The upstairs office, called THE LOGIC ROOM takes care of processing logical information and preparing charts, systems, plans and strategies. The downstairs office, called THE EMOTIONAL ROOM, takes in and processes our emotions. When things are calm in the downstairs office, the upstairs office functions well. But if the downstairs office gets too heated, the alarms will sound, the LOGIC office upstairs shuts down and things go haywire in a desperate attempt to cool the flames. When the heat is finally lowered, the upstairs office reopens and checks for damage, plans for repairs and creates strategies for the future. Overheated parenting takes place frequently. Without realizing it, we are often parenting from a sense of panic, urgency and fear, reacting to triggers that are continually setting off internal alarms. Often the logical and thoughtful part of our brains gets shut down, while emergency crews are working overtime. The good news is that knowing your own internal triggers and recognizing, acknowledging and soothing your emotions, will keep them from controlling you. If you control them and keep them calmly settled inside you, rather than having these negative emotions spilling outward, you will be able to parent more effectively. The best part is, you can learn how to do this with practice. Remember that when your emotional brain is in control, you’ll be most likely to react by yelling and screaming. Other forms of reactivity can include: shutting down, distancing, ignoring, and turning a blind eye to behavior. Responding, on the other hand, is when you avoid saying anything until the internal fire is out. You can then go upstairs to the LOGIC ROOM and think of the best way to respond to your child and the situation. If your child rolls his eyes at you, for example, it may trigger a feeling of being disrespected. This may cut deeply in to your childhood memories of being disrespected by a parent or peers. This feeling, when it gets triggered, might cause your heart to race, anger to rise and internal heat to set off alarms, shutting down logic…and your emotions take over. 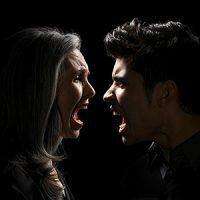 As much as the better part of you knows your child is just behaving as most teenagers would, your emotions register it as personal and threatening and your emotions get heated as a result. You start shouting and calling your child a spoiled brat. Why? Because she triggered unhealed feelings in you. If you do not know how to soothe and heal your feelings, you are likely to instead blame others. You still need to address the disrespect, but once you recognize why you get so triggered, you’ll be able to talk to your child with less emotionality. Parents are also triggered when when their kids don’t listen to them. This can make you feel disregarded and can flood you with the many painful times in your life when others disregarded you, especially your mom when your older brother was around, for example. Your emotions cause the LOGIC OFFICE to temporarily shut down while emergency vehicles rush out with alarms wailing to cool down the raging fire. Despite your best intentions, you yell, shout and hurl irrational punishments at your child for not listening to you. He might not have had any idea what he was about to set off in you. What will this change in your path require? 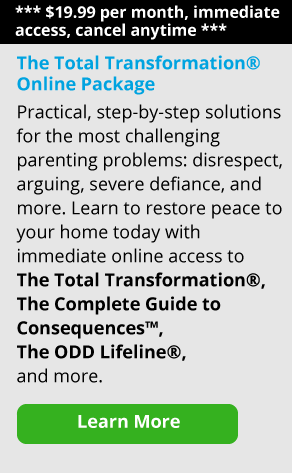 Read articles (like the ones found here on Empowering Parents) that teach and remind you why it is important to stay calm and not lose your cool with your children. Stop, pause, and think before responding, always. Keep in mind that we have a tendency to want others to think and act the way we want them to think and act when we get anxious, particularly our children. This is called the “herding” instinct; it makes us feel calmer when others act in ways that fit our needs. When we can’t get others to “be” the way we need them to be, we get more anxious and start shouting at them in our attempt to “herd” them. Know that this is a natural tendency that occurs in all of us, and prepare for it to happen when you get triggered. Stop, pause and recognize that you can’t yell your way to calm or get calm through someone else. Find ways to soothe yourself through calming music, quiet walks, and self-care. The truth is, yelling at others and jumping on their back will only cause more stress. Recognize your triggers. Pay attention to which of your child’s behaviors gets the heat rising in you. Check your body signals that indicates your heat rising. Are your shoulders tense? Throat tight? Are your words defensive? See if there is a pattern. Write all of this down. Write your thoughts down. Look to your past and look to your fears of the future. What does it trigger from your past? What fears does it trigger of the future? Ask yourself if your child’s behavior make you feel unsure of myself? Helpless? Out of control? Scared? Overwhelmed? Why? What can you do about these feelings? Are they rational or irrational? Write down what you can do to help soothe yourself when you feel any of these triggered emotions. Remind yourself that angry interactions can often negatively impact your influence with your child. Influence will only come from a child wanting to be led by you. Use your compassionate friend that sits on your shoulder to help you calm down the deep emotions that get triggered. You will want to settle these emotions within yourself so they don’t spill outside of yourself onto others. Keep your expectations of yourself and parenting realistic and reasonable. Give yourself permission to be imperfect and recognize the inevitability of being inadequate at the job of parenting. If you have difficulty reminding yourself, speak to the compassionate friend that sits on your shoulder. She can remind you of these truths and help you keep a perspective. Also get support from friends and family that love you. Heal the wounds of your past by learning your family history or seeking out professional help. Finish the unfinished business of the past so it does not repeat itself in the present. Get your adult relationships and personal life in order so you don’t rely on your kids to fill the void. Look at it this way: if you need this from your kids, your sense of worth will be up to them. You will be vulnerable to them and therefore easily triggered. Be careful not get hooked in to a pattern of negative interactions with your child when you get triggered. Don’t react to her reactivity and get caught in a battle of wills. Hold on to yourself and your realistic expectations of yourself and your child. Stay focused on your child’s strengths instead. If you are a big worrier, you probably carry lots of scary mental images of your kid’s outcome in your head. Images of disaster, what will happen if they venture out by themselves, failure, catastrophes befalling them. Some part of you probably falsely believes that if you worry and “futurize” you will prevent these things from happening. Not true. Try and overdose your mind with visions of happy, safe outcomes for your children. When these negative images get in your head, replace them with an opposite image. Work on this. Do the same thing with negative thoughts that pop into your head; replace them with an opposite, more realistic thought. Try walking, yoga, prayer, meditation. Practice mindfulness. Relax your body when you feel yourself tensing your shoulders. Take deep breaths and close your eyes. Notice your breath without changing it. Acknowledge all thoughts that come into your head and then return to your breathing. Don’t judge yourself — just notice your mind has wandered and bring it back to focus. Do this 15 minutes a day and you will notice more calm. Our kids’ behaviors can trigger unhealed wounds in us. We don’t like the feeling their actions and words brings up in us sometimes, and we don’t know how to soothe our wounds, so we blame, yell, scream, and criticize the person who triggered it in us. Blame helps us momentarily to feel calmer but resolves nothing. So next time you are triggered, pause before reacting, lower your heat by gaining perspective, then decide the best way to respond to your child. Spend time in the LOGIC OFFICE. Think about how to approach your child so that she will learn something from her misbehavior, but that your relationship will remain intact. For example, if you are triggered by disrespect, then once you have calmed yourself down you might discuss with her why disrespect is not acceptable and what she can expect to happen when she acts that way again. Calm Parenting does not have to be a far off dream, but it does require serious commitment and practice. Parenting is serious business, and because we love our children, parenting becomes a very emotional experience which triggers our deepest and most vulnerable emotions. Be kind to yourself on this journey.